What is the Trust Technique®? 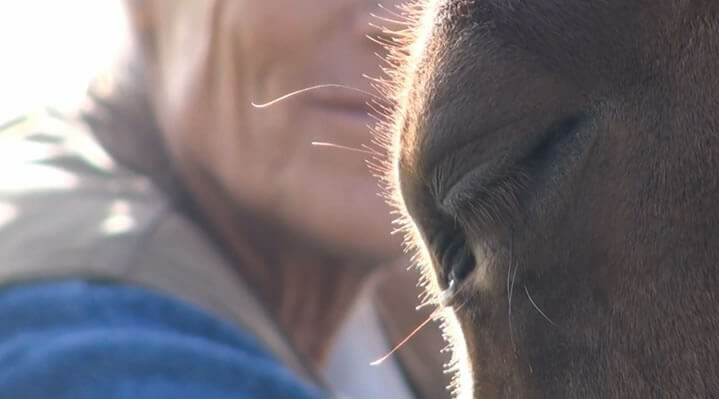 The Trust Technique® is based on the theory that deepening the connection between people and their animals can transform the lives of both. It uses mindfulness as a basis for aiming to resolve problems for the individual and also for the animal. Although an individual may initially seek help for a problem with their animal, they often also benefit personally from using the technique. When an animal or a person is over-thinking this can create emotional imbalances, making it more difficult to understand or connect with each other. This can have a negative impact on the relationship and ultimately may lower trust levels. Anxious over-thinking is one of the main causes for so-called “behavioural problems” in both animals and people. 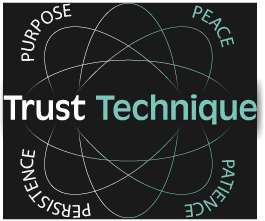 Daily practice of the Trust Technique® creates a shared peace of mind – the opposite to over- thinking. In the first stages, this connection builds a core bond of trust and confidence in each other, which can then develop and extend to other areas of our lives. When the relationship shifts from fear to trust, over-reactions are replaced with instinctual learning. This dynamic approach moves past the often hidden dominance between people and animals. It does not objectify the animal but recognises the individual more as a sentient equal. The animal is regarded as an intelligent being, able to work together with a human in trusted cooperation. The reward is a more truthful understanding of the animals opinions and allows for communication that manifests in shared wellbeing. What is a Trust Technique® Practitioner? A Trust Technique® Practitioner holds a space of supporting people and their animals. The aim is to help both be more peaceful in their lives by introducing a daily therapeutic practice. The Trust Technique® consultation delivers an integral structure of support while keeping within the laws and guidelines of professional practice. This qualification gives the practitioner the opportunity to be working with people and their animals within a number of different scenarios, to create both physical and emotional healing. Becoming a Trust Technique® Practitioner is part of the growth and future of this pioneering approach to the animal/human connection and social care.